Would being able to interact with ads make them any less annoying? 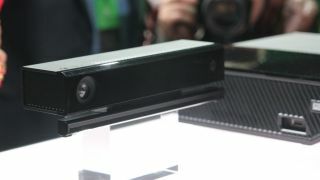 Last month, Microsoft announced that the Xbox One will use the Kinect for a new type of advertising, called NUads, by integrating gestures and voice control. The company has already started using it on the Xbox 360, which Microsoft said will "reinvent" television advertising, but it has some more plans for the Xbox One. A new interview on website StickTwiddlers, speaking to unnamed members of the Xbox Live advertising team, has revealed some more details of how this type of advertising on the Xbox One could be integrated with the Kinect. Speaking to StickTwiddlers, an Xbox One technical account manager said that while advertising was an afterthought on the 360, the Xbox One "is going to have advertising in mind". "With the new Xbox One, the technology and Kinect have improved a lot. The voice recognition, the way you speak to your Xbox, and the transition between gaming and watching TV is a lot smoother, and hopefully we can transpire that into [the] advertising that we do." With the Xbox One and Kinect more likely being placed in the living room and Microsoft pushing for more interactive and targeted advertising, there has been concerns over privacy. But an Xbox Live advertising developer told the website that game developers have a different set of code and system than advertisers, who are more limited with a system that is designed to protect users. "The company is very keen on protecting the user from any sort of abuse, so we can't do certain things," he said. Earlier this year, Microsoft filed a patent that would allow Xbox One users to score achievements if they watched certain videos or even ads. "To increase interactive viewing and encourage a user to watch one or more particular items of video content, awards and achievements may be tied to those items of video content," the patent said. "Producers, distributors, and advertisers of the video content may set viewing goals and award a viewer who has reached the goals." There has been no talk of the integration of these achievements yet, but it could prove to be a successful lure for users to interact with ads in the future.